At Thanksgiving, I hosted my immediate family at my house for the big meal. It was my first time being solely responsible for the entire dinner, so I went all-out: various appetizers, roasted turkey, lots of sides, and two pies . 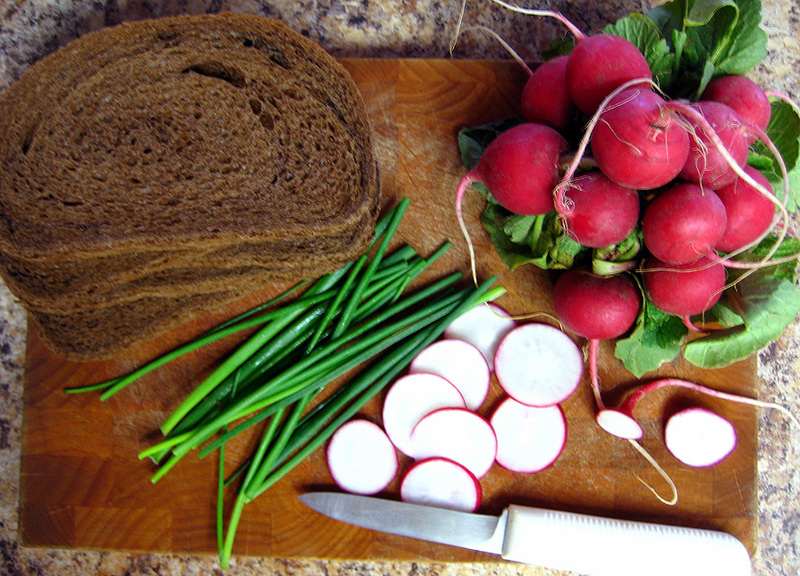 One of the appetizers that I made was little squares of pumpernickel bread with chive and onion cream cheese, topped with some fresh radish slices and cracked black pepper. The tray of these little snacks went very fast, and I’ve been dreaming about them since. I wanted to turn those ingredients into a sandwich, so what better way than a classic French tartine, or open-faced sandwich? If at all possible, whip up the cream cheese spread at least a day in advance, so it can sit in the fridge and let the flavors intensify. It truly is much more flavorful the second day. 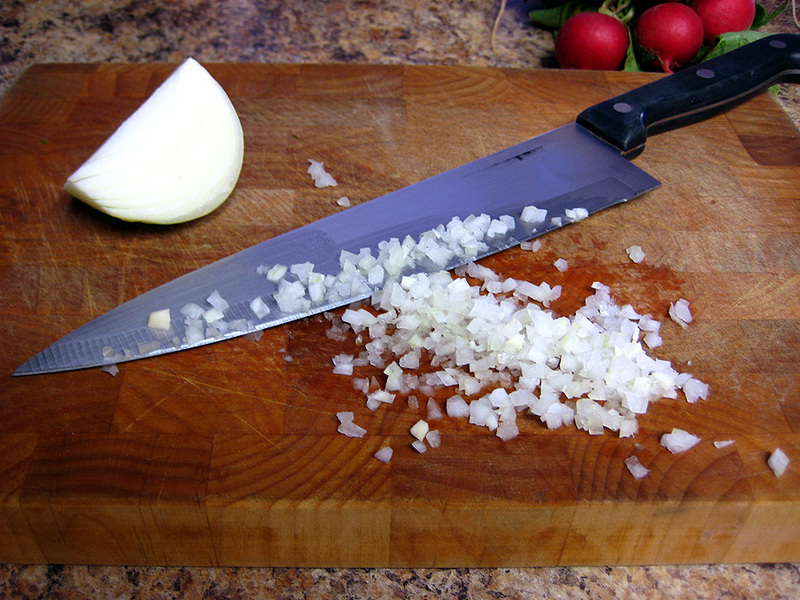 With a pair of kitchen scissors, snip some chives into small pieces, enough to yield 2 Tablespoons. 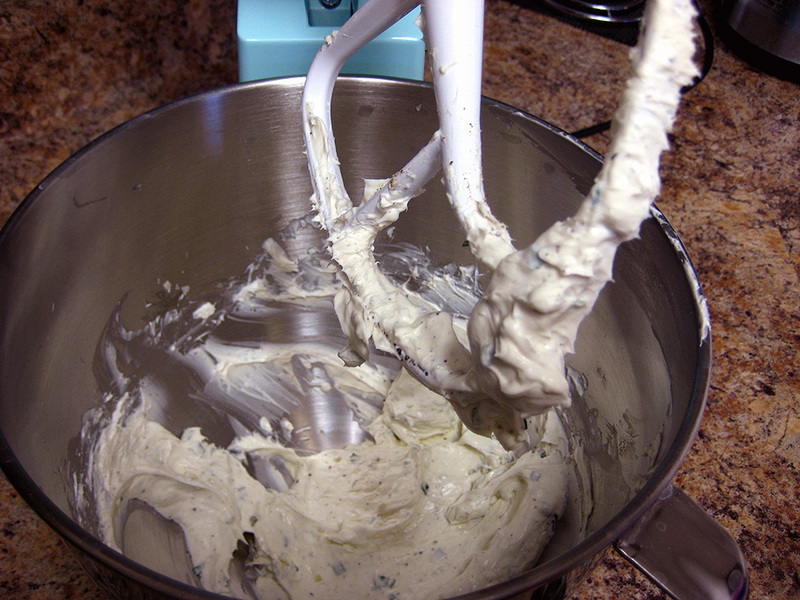 Place in the bowl of a stand mixer, along with the soft cream cheese, minced onion, and enough salt and pepper to float your boat. Mix on medium for one minute, and then turn up to high for 2-3 minutes more. Scrape down the bowl and the paddle so that there’s no lumps, and mix again on high for one minute. The mixture should be really light and fluffy. 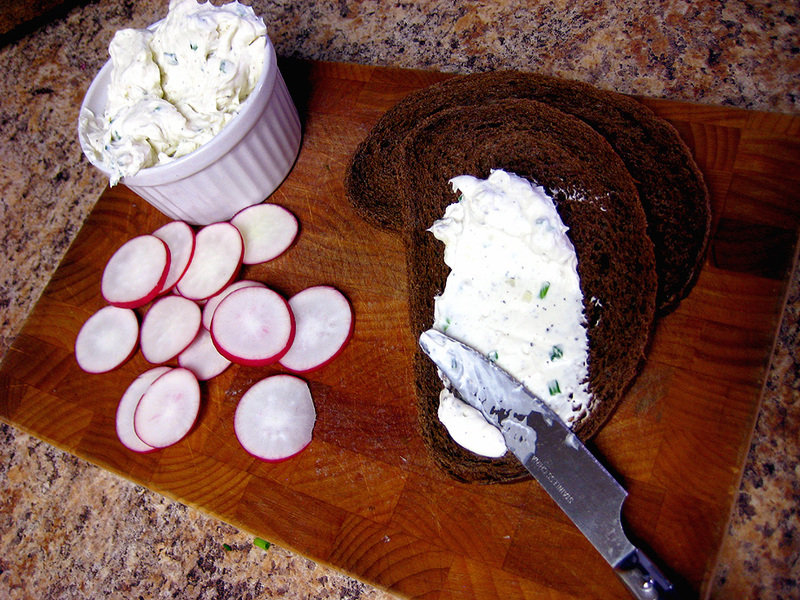 Scrape down the cream cheese spread again, and taste for seasoning. Add more salt and pepper if you wish. If possible, store in an airtight container in the fridge overnight so the flavors can really come together. If you want to just eat it now, that’s fine too. 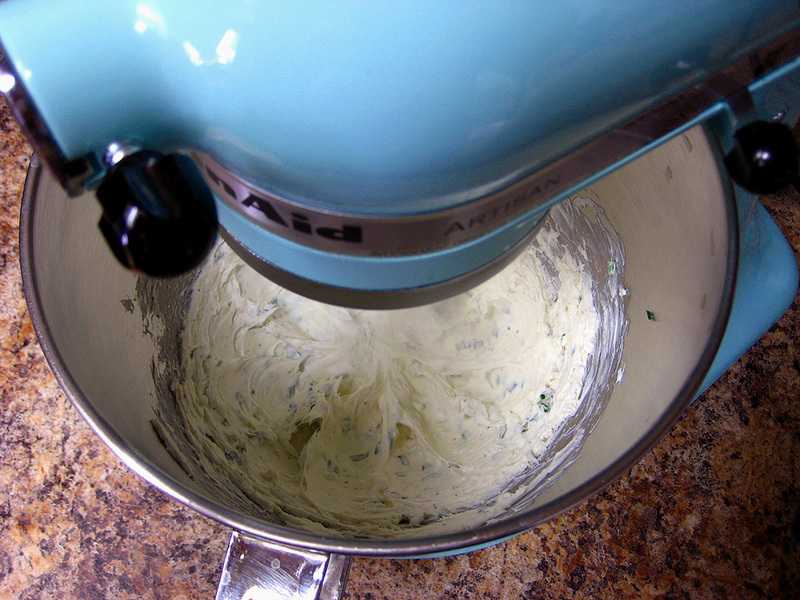 (Any extra cream cheese spread can be kept in an airtight container in the fridge for about a week). 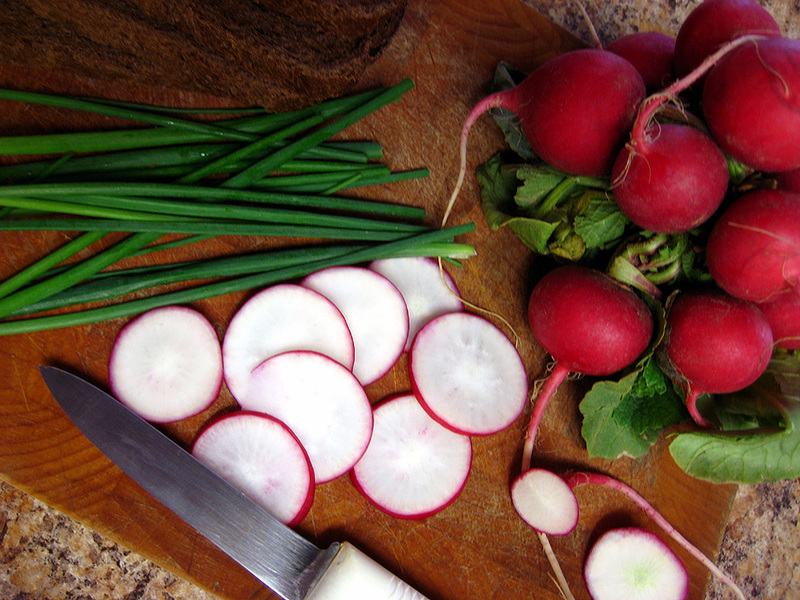 With a paring knife, slice your clean radishes into thin rounds, about one and a half radishes per sandwich half. 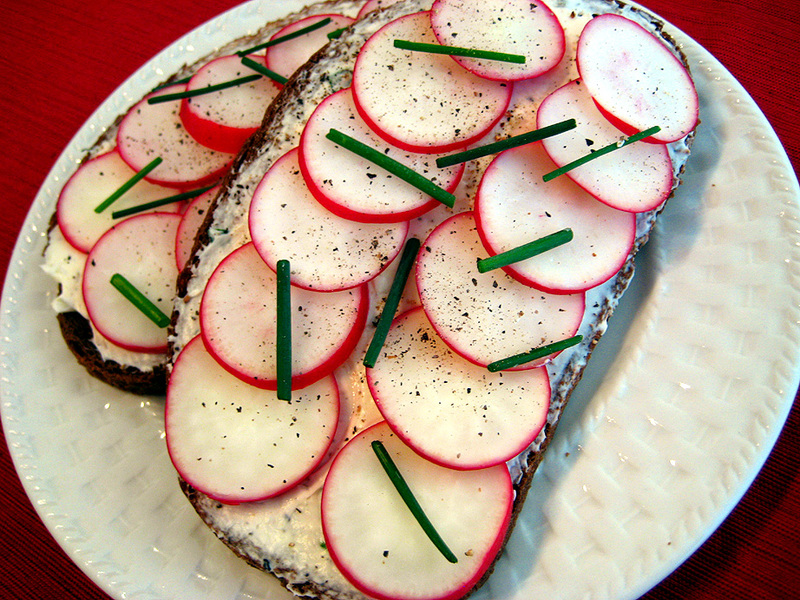 On each slice of bread, spread a tablespoon or two of the cream cheese spread, and layer the radish slices on top. 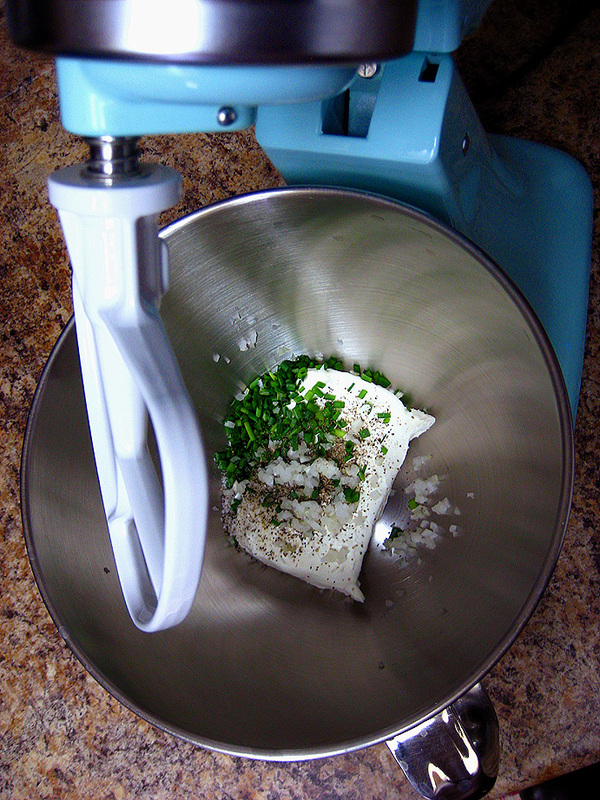 Sprinkle with some more snipped chives, and a grind or two of fresh black pepper. 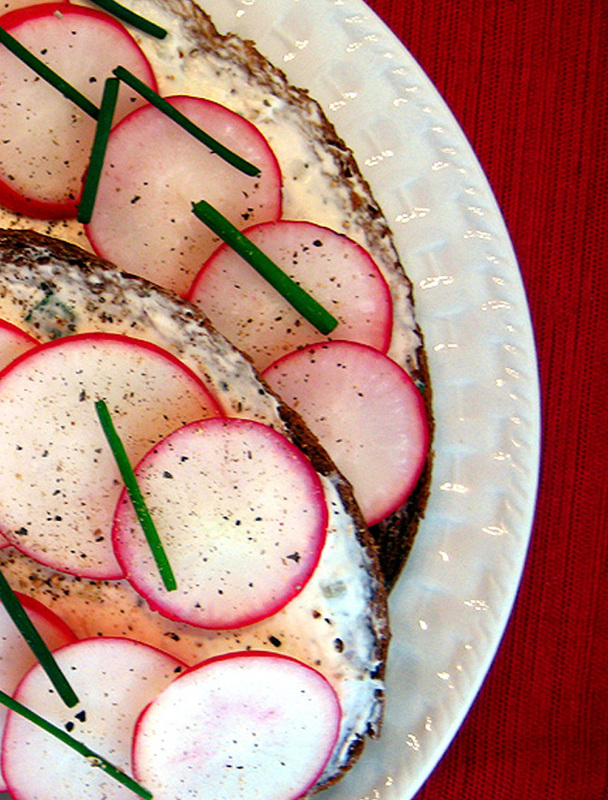 This makes a fantastic light lunch or mid-day snack (psst…. it even makes a wonderful breakfast! I had some of the leftovers this morning). 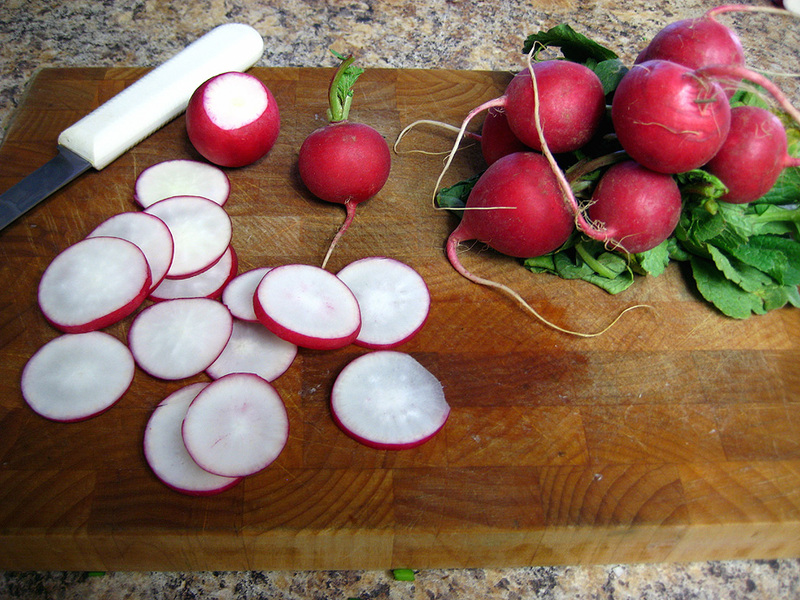 I haven’t tried it yet, but if you’re looking for something a bit more hearty, throw on some good deli sliced turkey under the radish slices. 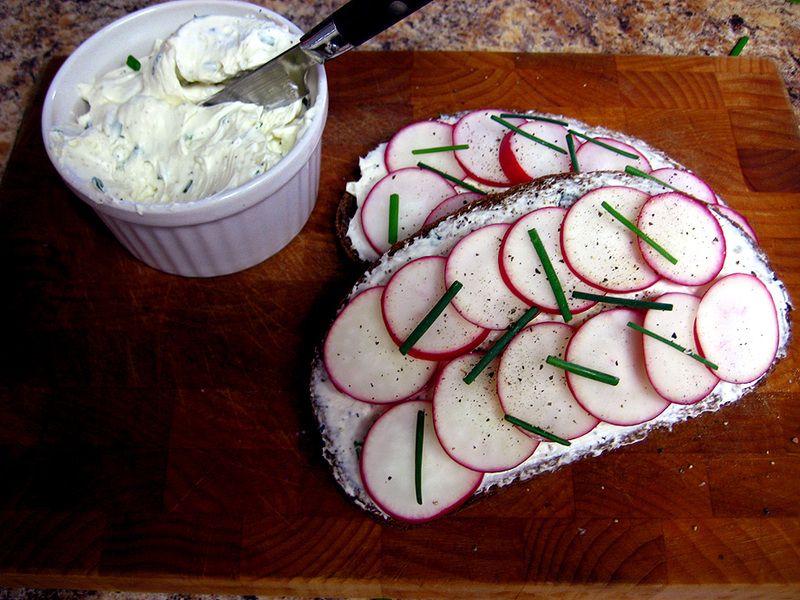 Or, better yet, mix in a few slices of crisply cooked, crumbled bacon to the cream cheese spread. That’ll be my next variation with this sandwich, cause is there really anything that isn’t made better by the addition of bacon? I can personally attest that these little delights are delicious!! As far as possible additions, how about some smoked salmon? Perfect with the cream cheese!